Sinnerboy are a Manchester-based Rory Gallagher tribute band playing with passion and fire and spanning all of Rory’s career. 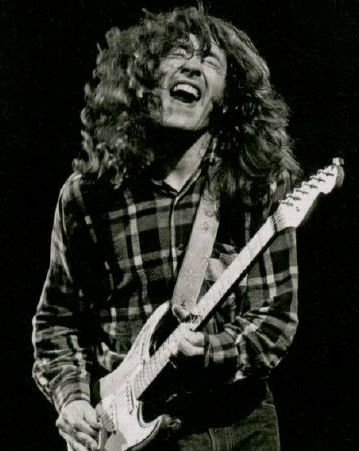 Rory Gallagher, who sadly passed away in 1995, had a huge impact on the world of blues and rock and is recognized as Irelands first real ”rock star” – blazing the trail for many major Irish acts to follow on the international stage. Sinnerboy, from North West England, have a huge reputation for faithfully recapturing the sound and excitement of a live “Rory gig”. They have played a major role in promoting the revival of Rory’s music for the last thirteen years and apart from gigging extensively in the UK and Ireland, have headlined Rory Gallagher tribute events in England, Holland, Belgium, Germany, Greece, Spain, Norway and the USA.